IBM has hit a major milestone with its Apple partnership. 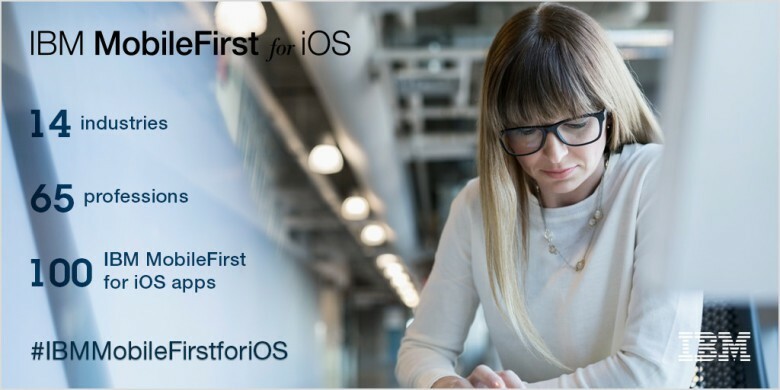 Apple and IBM today announced that they have hit their partnership goal of creating more than 100 IBM MobileFirst iOS enterprise apps together. These so far cover 14 different industries and 65 individual professions — ranging from wealth advisors to flight attendants, first responders, nurses and retail buyers. And the two companies aren’t finished yet! Combining IBM’s big data analytics with Apple’s UI, the MobileFirst iPhone, Apple Watch, iPad and Apple TV apps are reportedly being used by international companies including Bosch, Air Canada, AXA, Coca-Cola Amatil, Japan Post, Rimac and Vodafone Netherlands. In addition to existing markets, IBM and Apple are also expanding their portfolio with apps in the consumer products, automotive, aging, and chemicals and petroleum industry categories. IBM is currently developing new apps for iPad Pro that will take advantage of the increased performance, larger screen size, and iOS 9 multitasking abilities. This time last year we called the IBM and Apple partnership the most significant tech story of 2014. Based on the enormous success the collaboration has been so far, it’s safe to say that it’s been one of 2015’s biggest stories, too.